Questions To Ask — CFH, Ltd.
Is your product from a single farm? Product from a single source provides consistency & reliability. Can your supplier tell you where the product (flower &/or oil) comes from? We feel that all suppliers should have a quick answer to this and know exactly where their product is from. Are they using flower only or stalks, stems, leaves, seed or "aerial" parts? The majority of hemp currently produced is industrially grown, mechanically harvested whole plant hemp material that can often include cuttings of seed, stalk, leaves and even weeds. The trichomes of the flower are the part of the hemp plant that includes all of the cannabinoids, flavonoids, and terpenes that result in increased efficacy. Full Spectrum Hemp Flower Oil is harvested from flower only. Remember to read your labels! Marked indicators like "Hemp Oil" reveal an ingredient made from the seed of the hemp plant. 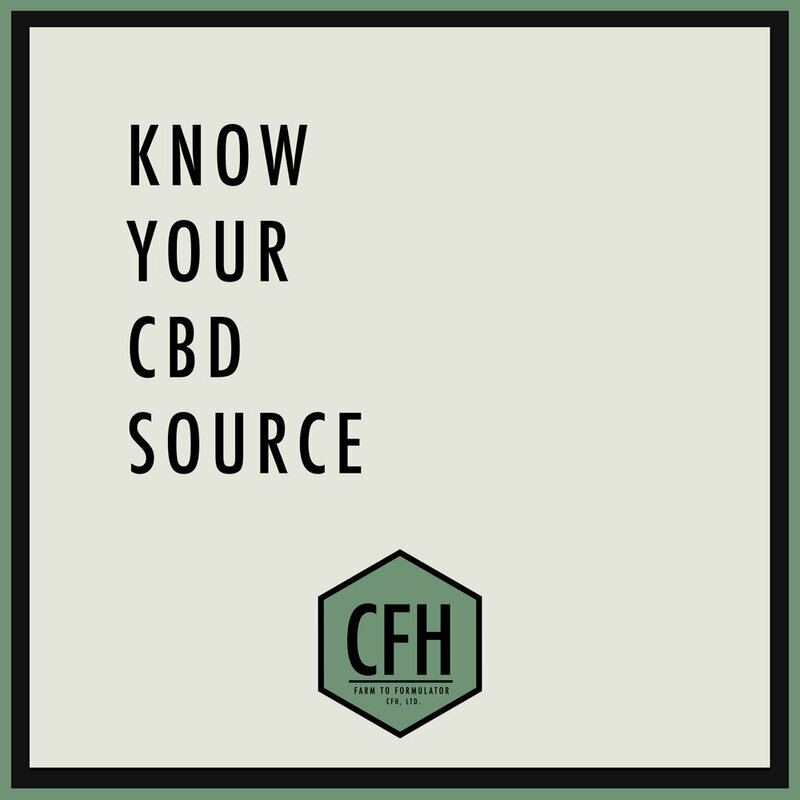 CBD and hemp oils are made from different parts of the hemp plant. Hemp seed oil is high in essential fatty acids and minerals and great for nutrition and skin health, but is not Full Spectrum Hemp Flower Oil. Marketing vs. Efficacy is an important distinction. Aerial Parts: These are the other less desirable parts of the hemp plant including stalks, stems, leaves & seeds.